Don't let the name fool you. It is actually a fluffy muffin. 1. In medium bowl, whisk eggs, milk, flour and salt until smooth. Let it rest for an hour. 3. In standard muffin pan, oil each cup and put into oven to heat for 3 minutes. 4. 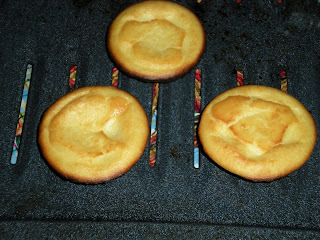 Pour batter in muffin pan, return pan to oven and bake until risen and golden, about 25 minutes. 5. Tap pan on work surface, the puddings should lift out easily. Serve hot.